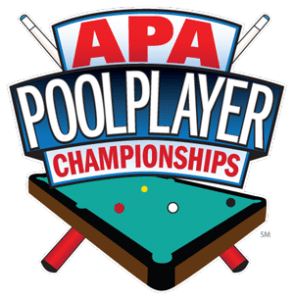 The culmination of individual play is the 8-Ball Classic and 9-Ball Shootout, which make up the APA Poolplayer Championships at the Westgate Las Vegas Resort & Casino. 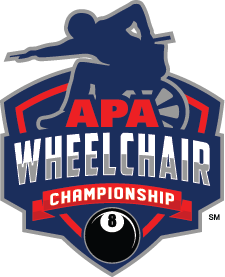 The 8-Ball Doubles, 9-Ball Doubles and Wheelchair Championships, as well as MiniMania, take place alongside the APA Poolplayer Championships. This event offers five Skill Level Tiers: Blue Tier (skill levels 2-3), Yellow Tier (skill level 4), Red Tier (skill level 5), Orange (skill level 6) and Purple Tier (skill level 7). The champion in each tier of this event receives $15,000 in cash and prizes. Total purse for this event is over $350,000. Qualifying Sessions: Jan. 1 – June 15, Season 1 Qualifier Window – Winners advance to Fall Regionals in October. June 16 – Nov. 30, Season 2 Qualifier Window – Winners advance to Spring Regionals in March. This event offers four Skill Level Tiers: Green Tier (skill levels 1-3), White Tier (skill levels 4-5), Gray Tier (skill levels 6-7) and Black Tier (skill levels 8-9). The champion in each tier of this event receives $10,000 in cash and prizes. Total purse for this event is over $175,000. Competition is played on 3 ½’ X 7′ Valley Cougar 93 tables with Mercury Ultra cloth. The ball set is Aramith Premier 2¼” using the Valley Cougar cue ball. A Modified Single Elimination Format that allows every player the opportunity to play at least twice before being eliminated. View tournament results from our championships. 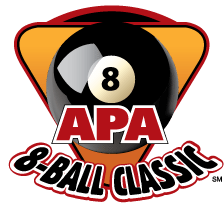 APA members who are currently playing on an active 8-Ball or 9-Ball team, and have attained at least 10 League match scores during the past two years in their respective format(s), are eligible to participate in the Singles Program. At the Local Level, APA members compete on a Local Qualifier Board consisting of four to eight members with one player advancing on to regional competition. The local entry fee for this competition starts at $20**, and there is no limit on qualifying attempts. Qualifier Board winners advance to the Regional and Championship Levels with no additional entry fee. At the Local Level, Qualifier Boards are open to players of all skill levels. Board winners advance regionally and nationally to one of five Skill Level Tiers that corresponds with their skill level in 8-Ball and one of four Skill Level Tiers that corresponds with their skill level in 9-Ball. The Singles Program also utilizes the Equalizer® handicap system. **Local entry starts at $20 per person, based on an 8-person board. Boards other than an 8-person board may vary in cost. The Westgate Las Vegas Resort & Casino is SOLD OUT for the Poolplayer Championships. However, we secured a great deal for you at Circus Circus. Click here to book today or call 1-702-734-0410 and provide group code CW04APP. Rates: 4/20 – 5/2: $32; 5/3: $89; 5/4: $115; 5/5: $32. There is a $15 per night reduced resort fee when booking through APA. Download all the information you need about the event. Interested in being an Exhibitor at a future APA event? Click here for more information! Dozens of Exhibitors will be at our event with thousands of items for sale! You will never have another billiards shopping experience like this one, anyplace, ever! Click here to find a list of exhibitors and their booth locations. We will be streaming the championship rounds of each event live. 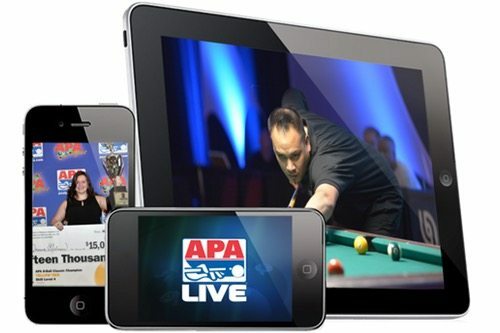 View photos from the APA Poolplayer Championships. Providing access to tournament brackets and the latest standings. 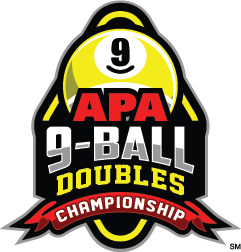 Held in conjunction with the APA Poolplayer Championships, the 9-Ball Doubles Championship is open to any combination of players with a skill level limit of 10. 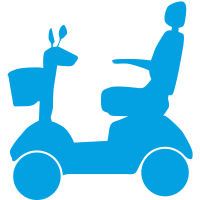 A championship event for competitors in wheelchairs to play against each other. 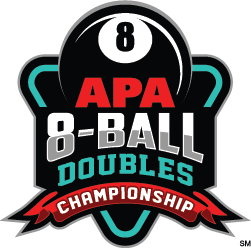 Held in conjunction with the APA Poolplayer Championships, the 8-Ball Doubles Championship is open to any combination of players with a skill level limit of 10. During the Championships in Las Vegas, the APA hosts MiniMania events nearly around-the-clock, which consist of a variety of formats, providing APA members with as many opportunities as possible to compete.